The European Centre for Comparative Commercial and Company Law (Centrum C-Law.org) is an international non-profit association, which has legal personality in accordance with the Polish Act of 7 April 1989, Law on Associations (Prawo o stowarzyszeniach – in Polish only). The mission of Centrum C-Law.org is to contribute to the improvement of legislation and legal practice in the areas of commercial and company law , as well as to promote standards of best practice in corporate governance in Europe, with a particular emphasis on new Member States of the European Union and Associated Countries. The Association seeks to achieve its goals through independent scientific research, academic exchange, interdisciplinary dialogue and related activities. Set up and improve infrastructure necessary for scientific research, such as libraries, electronic databases etc. 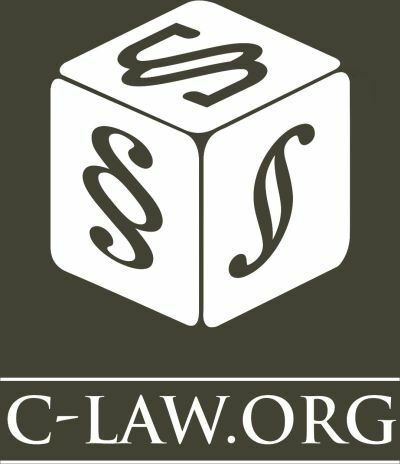 Centrum C-Law.org has its registered office in Cracow, however it shall have the right to establish Local Units and Branches. Members of the Association can be natural or legal persons as well as other institutions domestic, foreign or international, divided into following Membership Categories: Academic Members, Honorary Members, Institutional Members, Ordinary Members, and Founding Members. Read more about Membership categories and requirements. Centrum C-Law.org Membership offers a wide range of benefits . Most conveniently you can apply for Membership using our Online Application Form . For further information please refer to the Articles of Association.